Take one to four servings (three teaspoons) daily. This plain, unsweetened formula can be added to your Formula 1 Meal Replacement Shake or stirred into other foods and beverages, including cereal, yogurt, sauces and soups. I take it with the shake and it keeps me really full. Ive been using this products for 7 years and I love the way I feel, I was able to get rid of a lot of health problems. keeps me from getting hungry. 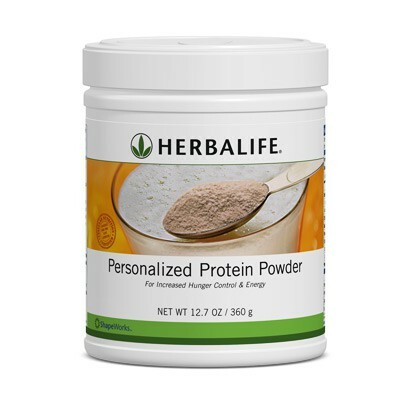 I take the Personalized Protein Powder daily, I take it 2 times a day. I mix it with the Formula 1 shake mix. It provieds a great taste and keeps me from getting hungry.